Financial access and flexibility with all the tools and insights you need. Explore our mobile banking account & reloadable prepaid card to determine which is right for you. * FDIC-insured through Republic Bank of Chicago, Member FDIC upon verification of cardholder’s identity. The USA PATRIOT Act is a federal law that requires all financial institutions to obtain, verify, and record information that identifies each person who opens an account. You will be asked to provide your name, address, date of birth, and other information that will allow us to identify you. You will be asked to provide documentation as proof of identification. Banking services provided by Republic Bank of Chicago, Member FDIC. 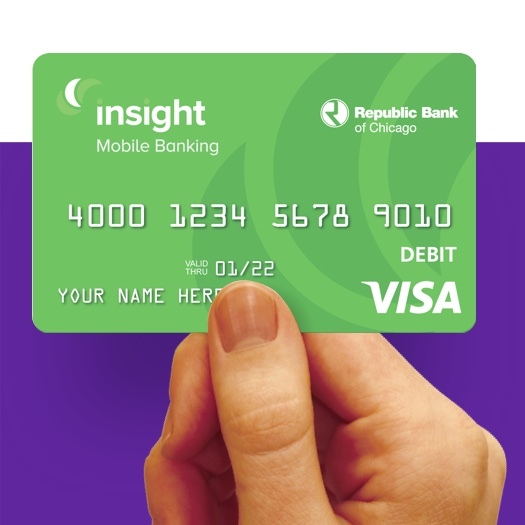 The Insight Mobile Banking Visa® Debit Card is issued by Republic Bank of Chicago pursuant to a license from Visa U.S.A. Inc. and may be used everywhere Visa debit cards are accepted. 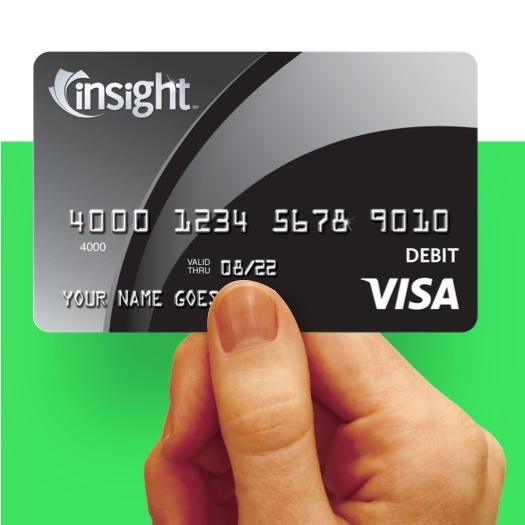 Insight Visa® Prepaid Debit Cards are issued by Republic Bank of Chicago, Member FDIC, pursuant to a license from Visa U.S.A. Inc.